I wrote about Casa Linda Park not long ago, so today … Casa View Park (and its neighbor, Casa View Elementary School). 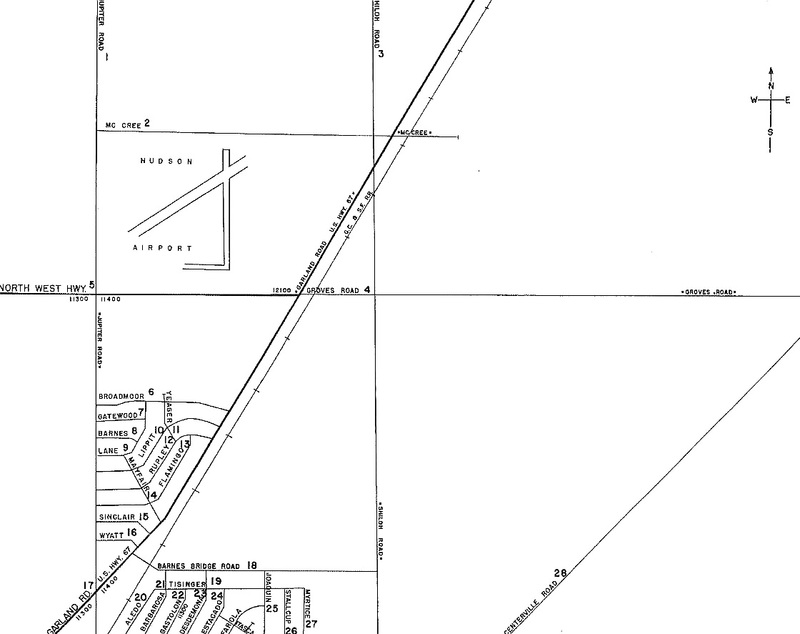 After World War II, there was a severe housing shortage in Dallas, and developers began looking to areas which offered new land to build on and were ripe for annexation. One such area — east of White Rock Lake and beyond the city limits — was eyed as a prime site for a new residential neighborhood: it didn’t take long for the area now known as Casa View to pop up. 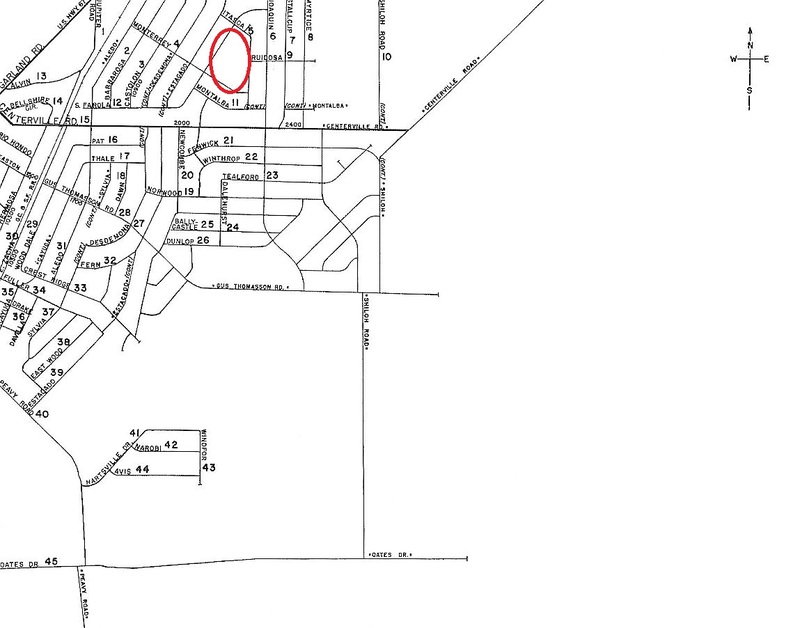 One of Casa View’s neighborhoods was Casa View Heights (which, roughly, is bounded by Garland Road, Centerville Road, Shiloh Road, and … maybe Barnes Bridge? 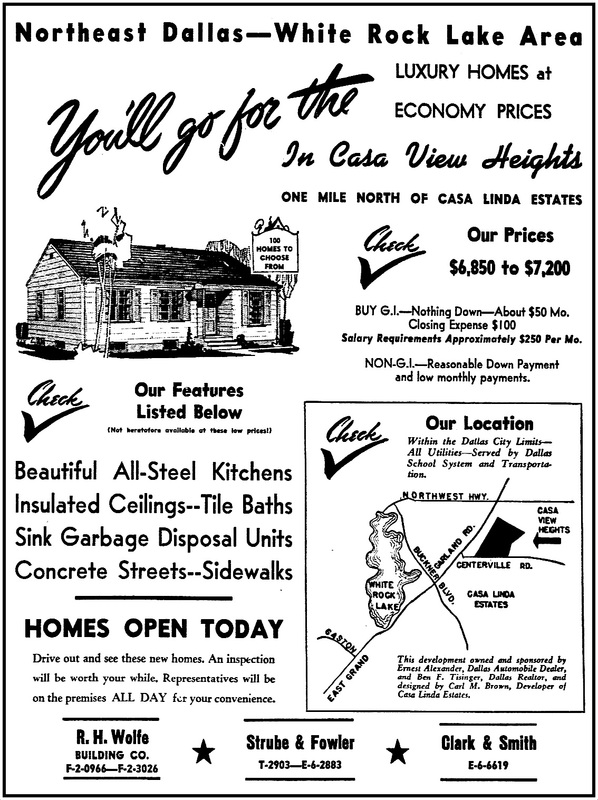 — see ad below) — it was a development spearheaded by Carl Brown, whose nearby Casa Linda development had been a big hit. The land this addition was built on was annexed by the City of Dallas in 1949. 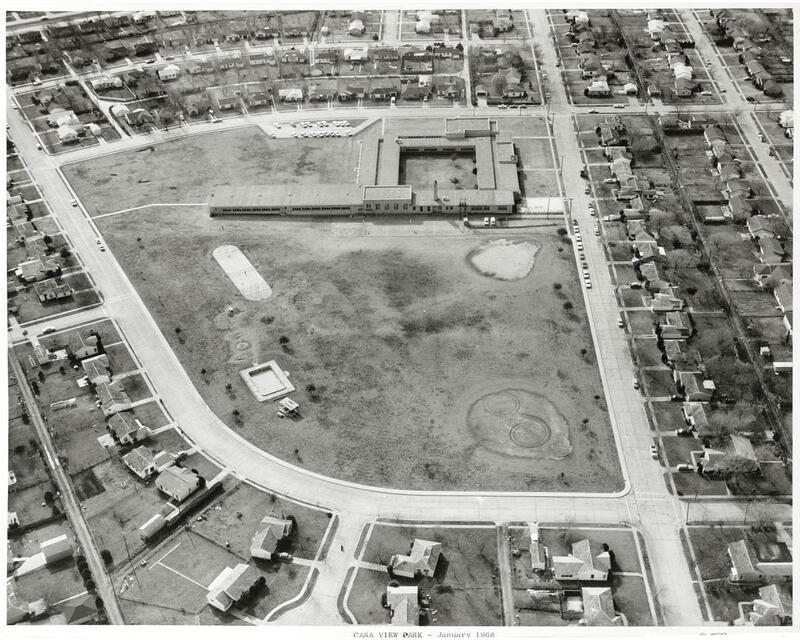 In mid-1950, it was announced that “ten acres of pasture land north of Centerville Road in the Casa View area” had been purchased by the Dallas School Board, a tract which “some day may be the site of a school […] though the school building program has no project scheduled for the area” (“Sizable Land Plots,” Dallas Morning News, July 16, 1950). 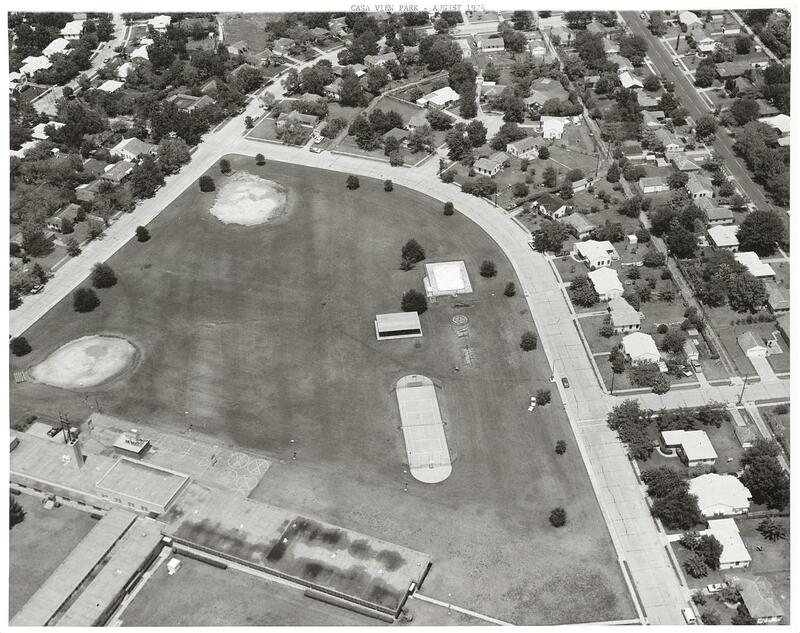 About half that parcel of land became Casa View Park sometime in 1950; the other half became the campus of Casa View Elementary School. The school (designed by premier Dallas architect Mark Lemmon) began construction in 1952 and was ready for use by the opening of the new school year in 1953 (enrollment on the first day was an impressive 870 students). 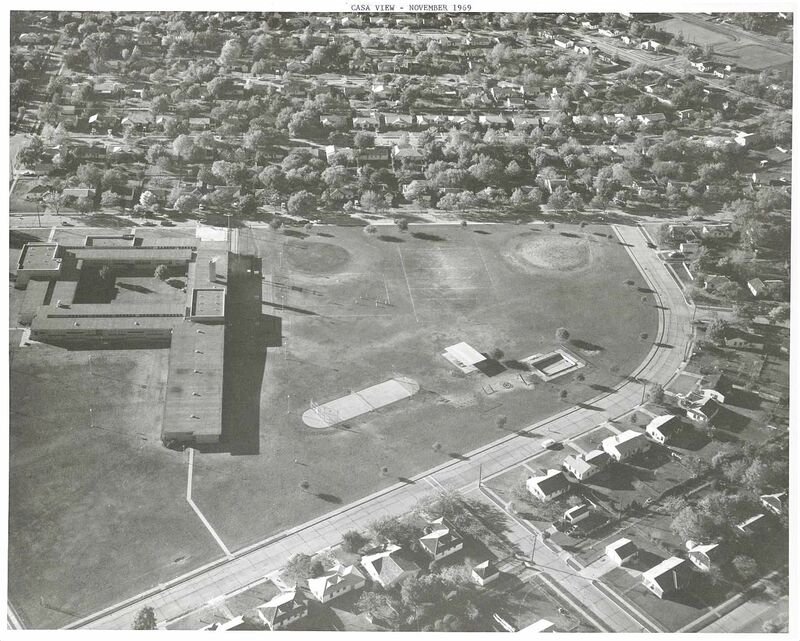 At the top: a photo from 1954, with the year-old Casa View Elementary School on the left (in its original square shape, with an unusual-for-the-time open courtyard in the center); the fairly bleak-looking, treeless Casa View Park is on the right. The view is to the west, with Farola at the top, Monterrey on the left, and Itasca at the bottom and right. 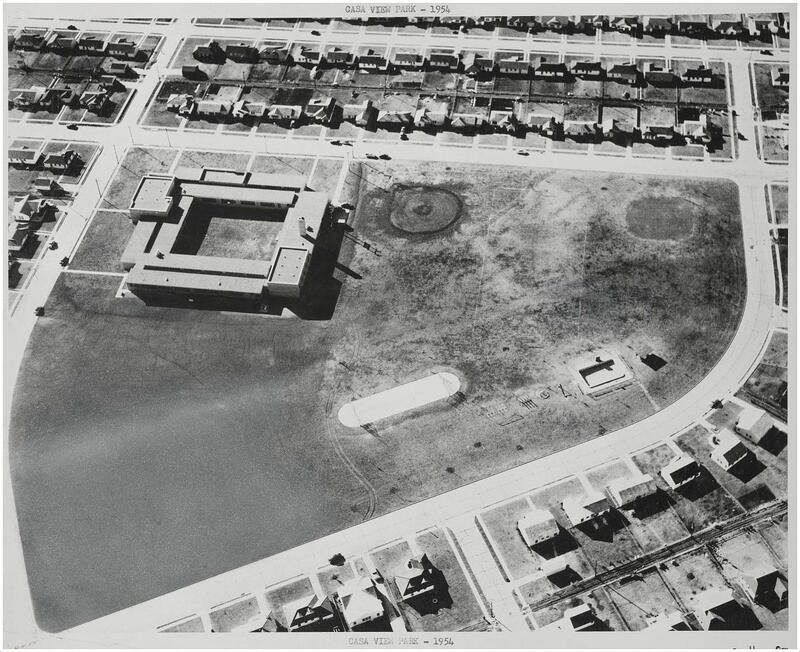 The aerial photos are from the Dallas Municipal Archives, and are included in the collection “Dallas Parks Aerial Photographs” provided to UNT’s Portal to Texas History site; all photos above can be found here. The location of the school and park can be seen here. A present-day aerial view from Google is here. Copyright © 2018 Paula Bosse. All Rights Reserved. Enjoyed this post so very much because we lived on Monterrey across from the auditorium side of Casa View School when my three children attended. We loved the neighborhood back then cannot remember any type of crime nearby. Swimming pool was open in the summer and my boys would take their go-cart all over the grounds. Glad you liked it, Joyce! Yes, being able to buy a 3 BR/1 bath house with mod-cons on your GI bill benefits was TRULY LUXURY.